History is usually written through the point of view of political and economic changes. Another aspect of history can be how brands influenced changes in the society. Brands can have the biggest impact on history by offering values to customers and therefore setting a new standard for their expectations and ambitions. This post is an example how Italian history can be seen through the point of view of brands and values they offered. I am including only brands which were established after the unification of Italy in 1861, and am excluding political, ideological, location, invention, and diaspora brands. I am also excluding global brands which are owned by Italian companies such as Oakley (owned by Luxottica) and Chrysler (owned by Fiat Chrysler Automobiles). – The brand existed for a large part of Italian history since 1861. Unification of Italy created one of the best country brands the world has seen. Value to Italian citizens: highly globally competitive values are added to all Italian brands. Without it: all the brands from the current Italian territory would be less competitive. Fiat is one of the world’s top car manufacturers and one of largest Italian companies. Value to Italian citizens: Italy is one of the few countries which leads the global automotive market. Without it: Italy would have lacked the industrial drive and position it has today. Pirelli is an industrial group known for its tyres. Value to Italian citizens: Italy was an early participant in the most important growth in late 19th century – automotive revolution. Without it: non-Italian brands would dominate the Italian market. Olivetti was to personal computers what Apple was to mobile phones – a leading innovator able to merge the highest level of technology and design, and a producer of a first personal computer. 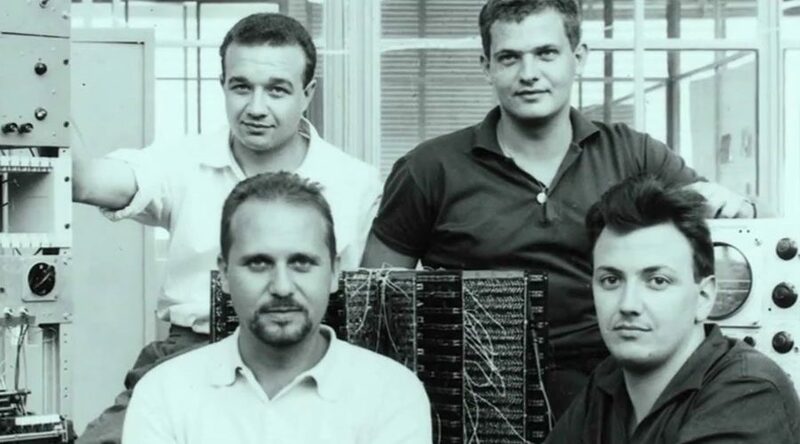 Value to Italian citizens: Italy was participating and even leading a computing revolution. Without it: Italy would not have had the technology competitiveness it had in post World War Two period. RAI as a media monopoly played a defining role in the history and culture of Italy. The biggest influence was the standardization of Italian language in 1960s. Value to Italian citizens: consolidation of Italy into a single homogeneous market. Without it: Italy would remain fragmented due to language and cultural differences originating from before the unification. Ferrari has been setting a global standard for what a car should be. Ferrari is also the first top brand which combines hard engineering with soft lifestyle values successfully on a global level. Value to Italian citizens: the power of the Ferrari brand improves the performance of almost every Italian brand. Without it: Remaining Italian automotive and even lifestyle brands would only be followers in global competition. Benetton became one of the world’s top fashion brands not by innovating with its products, but with content. Value to Italian citizens: casual fashion giant has proven that in a globalized world, in which manufacturing is outsourced, Italian brands can remain competitive. Without it: Italian brands would have the Italian formula for global competitiveness. Armani quickly learned how to became a global lifestyle icon thanks to Hollywood. Value to Italian citizens: Italian fashion became an international lifestyle concept, and not just a well-cut suit. Without it: Italian brands would remain less competitive by focusing on the product. Highly controversial Berlusconi brand left no one without a comment in his populist political career, engaging both Italian and a global community. Value to Italian citizens: Berlusconi as a brand set a high standard in political campaigning and competitiveness, positioning Italy as a visible political participant. Without it: Although values which Berlusconi offers are controversial, they still increased the visibility and appearance of the influence of Italian politics. While less populist leadership would have provided more stability, it would not have provided such superficial influence. Euro currency, an Italian brand as it is accepted and used in Italy, has become a globally competitive currency. Value to Italian citizens: Euro provided an obvious cultural change to every Italian communicating that Italy has a leading position in a highly competitive European Union. Without it: Italy would have remained isolated and as such appeared smaller in an ever growing globalized world. – Italian brands were a strong and early global participant in industrial trends, first in automotive and later even in computing. – As the power of media grew in the second half of the 20th century, Italian brands used it to build their global presence merging their engineering with media know-how. – Late 20th and early 21st century lack strong Italian brands that shaped the Italian of global society as in earlier periods. Consider this post only an exercise in interpreting how brands can influence a history of a country and culture, because no data was used to back the above claims. More substantial research is needed to confirm them. What should be taken from this post is that brands and their values play an important role in the development of a society. Which brands and how much influenced history requires substantial data. If you wish to comment on the post email me at nikola@bemapps.com, leave comments on our Facebook page or Tweet to @bemapps.